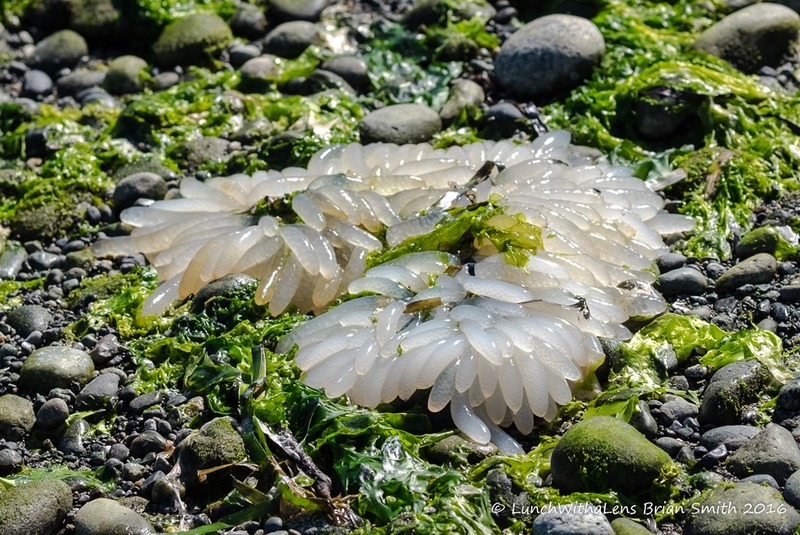 Squid Eggs on Gardiner Beach! 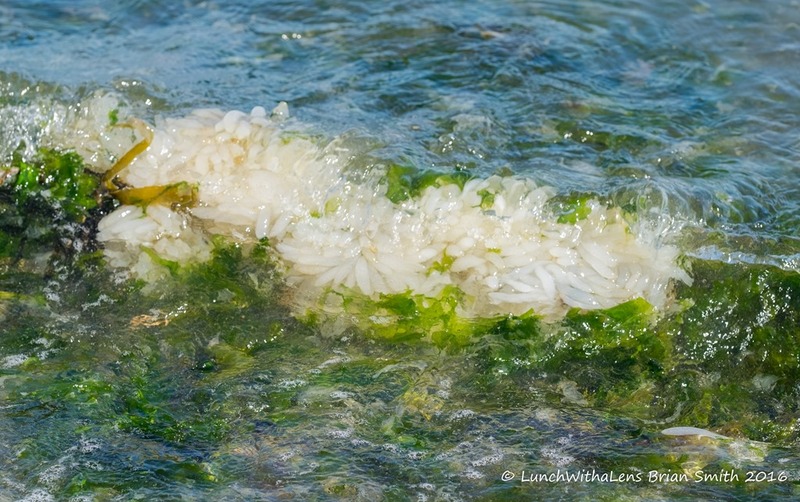 Walking the beach yesterday saw literally dozens of these groups of eggs (only found they were squid eggs later – looked like some weird jellyfish at first!). Some just out of the water at low tide early on but plenty still floating around as the afternoon tide cam in. Not sure if these are California Market squid or Humboldt. Gardiner beach is on Discovery Bay in Washington State – and looks North from the Olympic Peninsula towards the San Juan Islands. Captured a video of these too – quite relaxing watching. For scale each egg sac is about the size of my little finger (and for scale I have a quite small little finger!) And the photography reference – all taken with the Fujifilm X-T1 with 90mm f/2 prime.